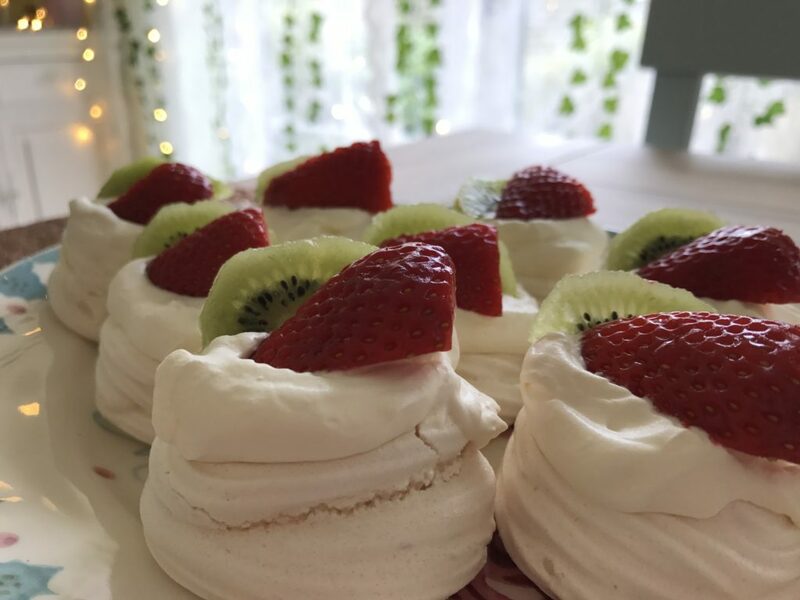 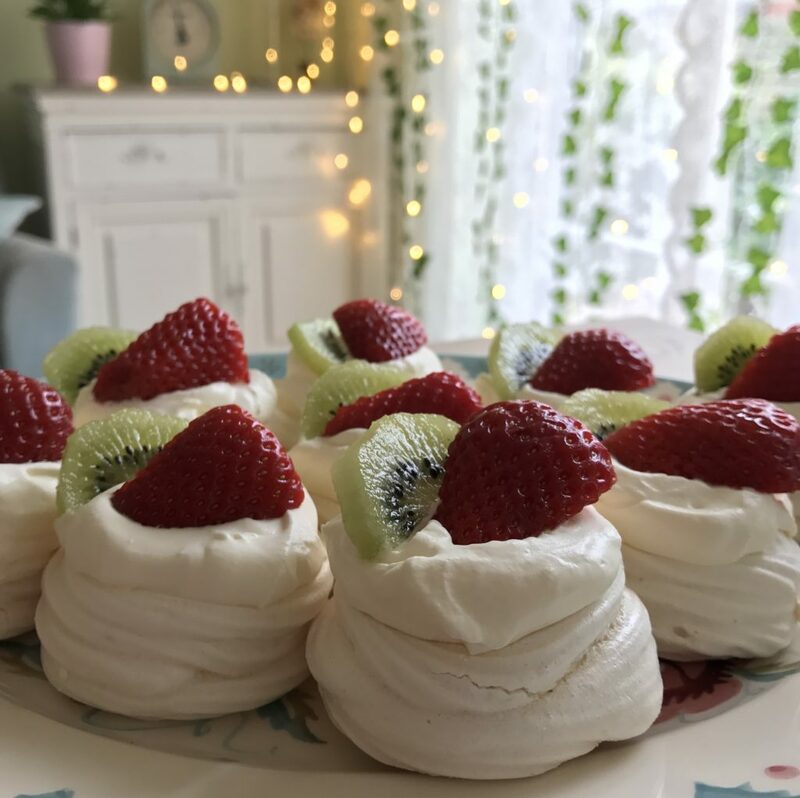 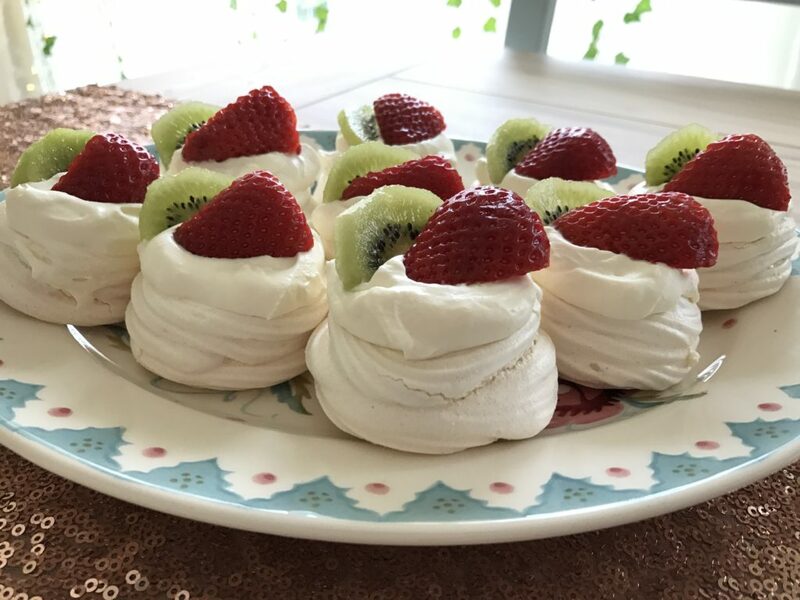 Whisk egg whites on a low setting until frothy and then add sugar one dessert spoonful at a time and continue whisking at an increased setting until all sugar has been added and soft peaks have formed. 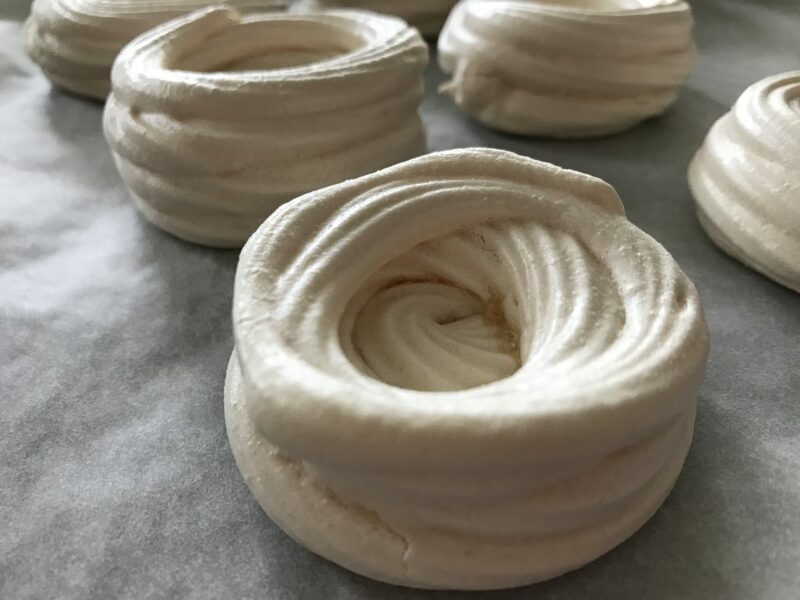 Pipe meringue mixture onto a baking sheet in a circle making it higher round the edges to create a nest shape. 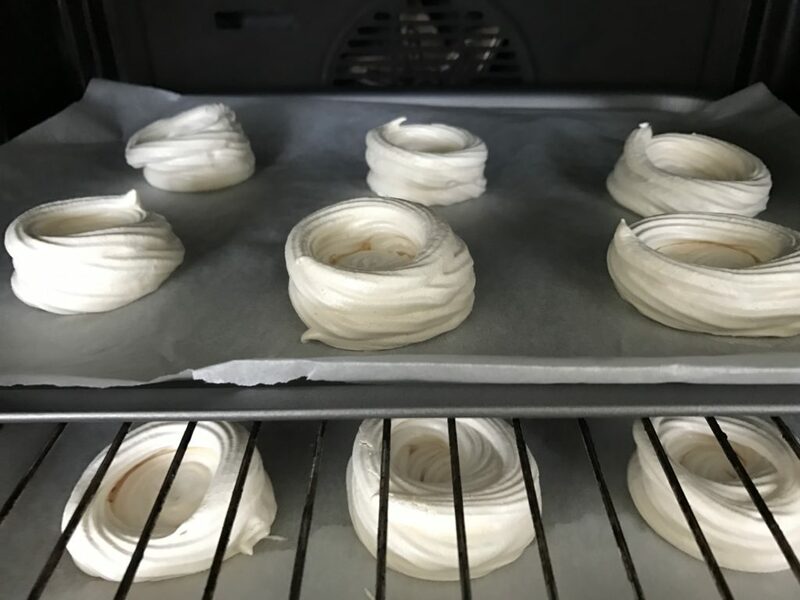 Bake in oven at 80 degrees C for one hour and 40 minutes and then switch oven off and leave in oven until completely cool.